Title: Oedipus Rex: The Story of a Palace Intrigue Author: Kathrin H. Rosenfield Imprint: The Davies Group, Publishers soft cover 226 pp. USD 24.00 ISBN 978-1934542309 January 2013 Inspired by the translations and observations of the great German poet Friedrich Hölderlin, Rosenfield takes an original approach to the detective story within the conventional Oedipus myth. Her interpretation makes sense of Oedipus’s suspiciousness and anxiety at the beginning of the play, revealing not only the plot of Oedipus’ self- discovery, but also the second plot, hidden in plain sight, in which the “minor” protagonists try to fool the hero’s investigation and harm his interests. This approach uncovers more poetic ironies and thrilling stratagems than have other readings, and penetrates into the intricate minds of theplay’s other protagonists, unveiling their unspoken calculations. The author convincingly interprets how educated Athenian citizens might have perceived the double plot and situates the two interwoven stories within the realistic background of Classical Athens. Contents Foreword Chapter 1 Introduction A classical, not a neo-classical, tragedy; The double plot of a brilliant detective story; The mystery that Oedipus sets out to solve; Hölderlin’s clues; Hölderlin’s approach: Oedipus—the investigating detective? ; What is this play about? Chapter 2 Oedipus wonders Prologue: Oedipus besieged by the Children of Thebes; Creon returns from Delphi; The changing versions of the oracle’s “full word”; The multifarious meanings of Fate and oracular words; The entry hymn; Oedipus’ imprecation: announcement of reversals and of reverse-ironies; Real and symbolic reversals: a more complex use of ontological duplicity; Creon and the Elders: Evasions and Obstructions Chapter 3 Oedipus and Tiresias Tiresias, his wisdom and his knowledge; What Tiresias knows; The rivalry between Oedipus and Tiresias as civic benefactors; Oedipus vs. Tiresias: a high-stakes contest between two intelligent men; First Stasimon—The Elders wonder Chapter 4 Creon and Oedipus (89) Creon’s and Oedipus’ (involuntary) doublespeak; Jocasta’s entrance; Jocasta’s art of distracting her mind from bad memories; Jocasta’s doubts and anxieties about Laius’ meritorious slave; Oedipus’ narrative of his murder at the crossroads; Laius and Jocasta: mythical figures or psychological characters? Second Stasimon—The choral ode hubris phyteuei tyrannon (Pride makes the tyrant); The Elders’ concern about hubris and hamartia Chapter 5 Oedipus and the man from Corinth The Corinthian’s message provoking two different visions of chance (tyché) and destiny (telos, moira); Character and fate in the Theban palace; Oedipus’ defiant acceptance of the hidden coherence of human contingencies (tyché); Third Stasimon—The Elders as (involuntary) Fools; Oedipus and the Shepherd; Fourth Stasimon—Tragic Wisdom Chapter 6 Oedipus’ Pyrrhic victory Does Oedipus’ fate fulfill the Delphic oracle? ; Why does Oedipus blind himself? The scapegoat’s parody of the helpless purifier; Creon’s (double-faced) hesitations—Oedipus’ (sarcastic) humbleness. 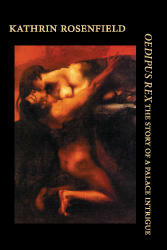 Notes Bibliography What they said Many great scholars have praised Oedipus Rex as the first detective story. Rosenfield’s approach takes this idea beyond the hero’s self-discovery and reveals a thrilling double plot of intrigues and lies in the Theban Palace. Based on Friedrich Hölderlin’s essays on Sophocles’ plays—long regarded as the dark musings of a nearly deranged mind—this essay shows that the German poet’s remarks are not at all philologically irrelevant. Rosenfield’s superb achievement is not only to indicate the stunning cohesion and insightfulness of Hölderlin’s work, but also to demonstrate how uniquely indispensable his remarks are for assessing the deeper, and generally overlooked, meanings of the ancient tragedies. —John Hamilton Professor of Comparative Literature, Harvard University About the Author Kathrin H. Rosenfield is a professor in the Faculty of Literatura and Philosophy at the Federal University of Rio Grande do Sul in Brazil. She has long combined literary criticism with a practice in psychotherapy and an active career in the theatre. Her book Desenveredando Rosa won Brazil’s foremost literary award in 2007. Different versions of her book on Sophocles’ Antigone have been published in Brazil and France.